Liczba stron: 571 Jest to ujednolicona liczba stron, która ułatwi Ci porównanie długości książek. Każda strona Legimi to 200 słów. Xenophon the Athenian was born 431 B.C. He was a pupil of Socrates. He marched with the Spartans, and was exiled from Athens. Sparta gave him land and property in Scillus, where he lived for many years before having to move once more, to settle in Corinth. He died in 354 B.C. 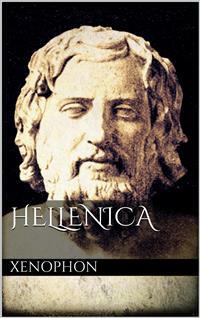 The Hellenica is his chronicle of the history of the Hellenes from 411 to 359 B.C., starting as a continuation of Thucydides, and becoming his own brand of work from Book III onwards. Xenophon the Athenian was born 431 B.C. He was a pupil of Socrates. He marched with the Spartans, and was exiled from Athens. Sparta gave him land and property in Scillus, where he lived for many years before having to move once more, to settle in Corinth. He died in 354 B.C.The Hellenica is his chronicle of the history of the Hellenes from 411 to 359 B.C., starting as a continuation of Thucydides, and becoming his own brand of work from Book III onwards.